No matter if you’re traveling like a local or just keeping it local, it’s never the wrong time to tackle something massive, like a mountain or two. The Carry-on 2.0 and Daily look may look ‘all sleek and city-like,’ but under their minimalist exterior, they’re rugged hiking backpacks ready to handle whatever the trail throws at you, even if that means smashing through your inbox (like Sam ⬇️) Scope out the gallery below as the Minaal crew hikes the mountain ranges of the world or grab your gear and set out to summit something yourself. Oh, and… when you come back down, don’t forget to tell us all about it so we can add your pics to the collection! Hit the form at the bottom of this page to upload your photos and story or tag #minaal on social media wherever your climb takes you. 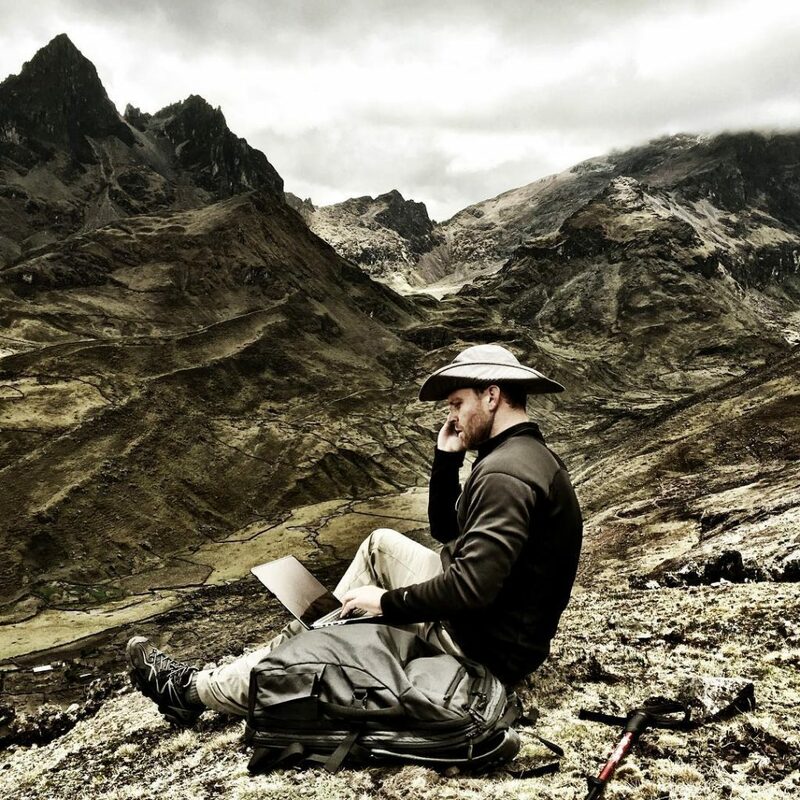 Sam never stops, even at 15,200f /4,605m on the Lares trek in Peru hiking with his Carry-on 2.0. 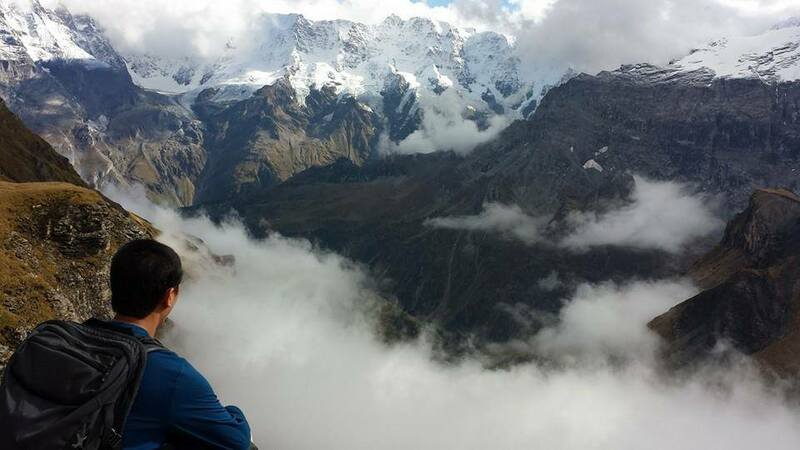 Daryl hiking up above the clouds on Schilthorn in the Bernese Alps of Switzerland with his Carry-on 1.0. 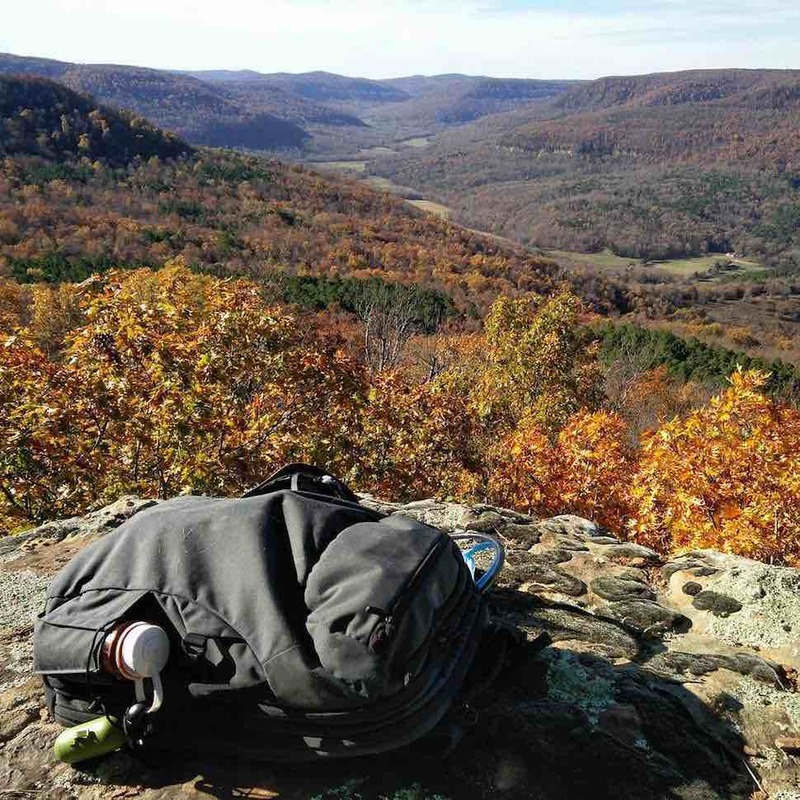 Cynthia looking out over the valley from Sam’s Throne in the Ozarks with her Carry-on 1.0. 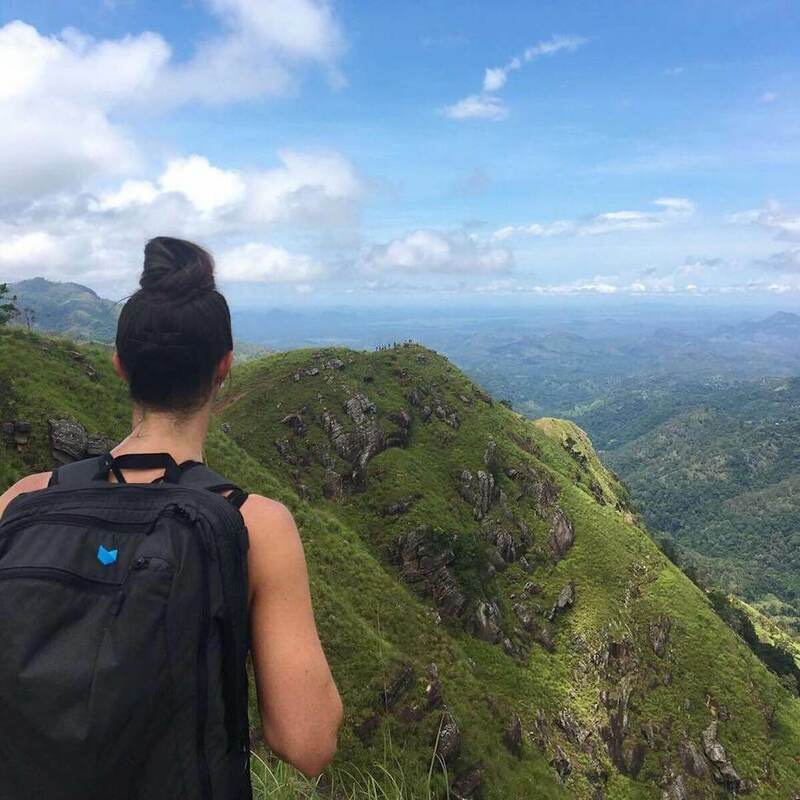 Karley hiking the green peaks of Sri Lanka with her Daily. 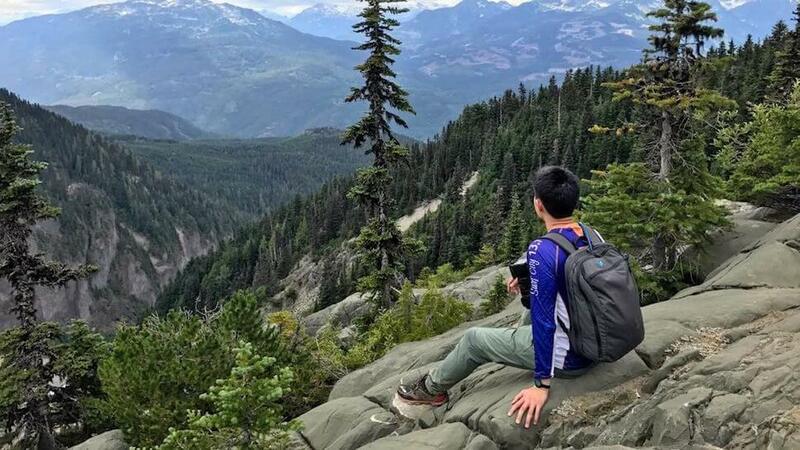 Hain-Lee Hsueh, of bag reviewers Pangolins with Packs, takes a moment to soak up the view in the mountains of British Columbia with his Daily. 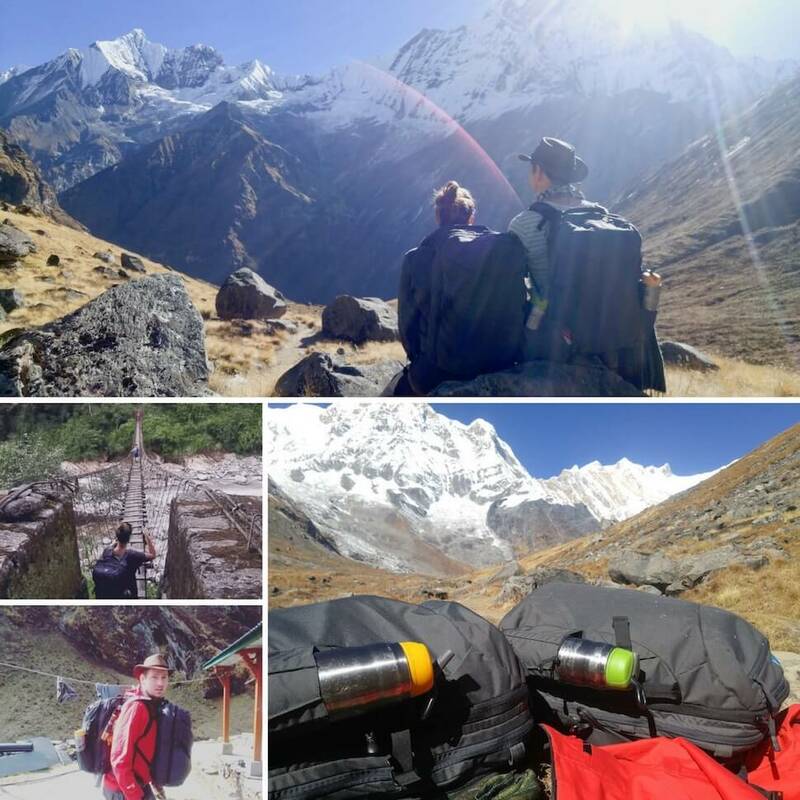 Danica and Nathan, The Ticket To Travel, exploring the Himalayas on the Annapurna Base Camp trek with their Carry-on 2.0s. 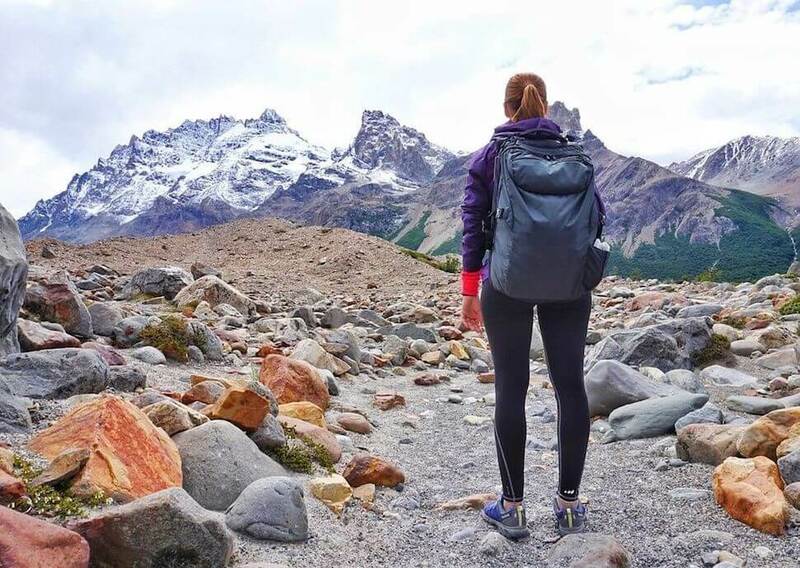 Daniela of Nomads Voyage hiking trails in El Chaltén, Patagonia with her Carry-on 2.0. 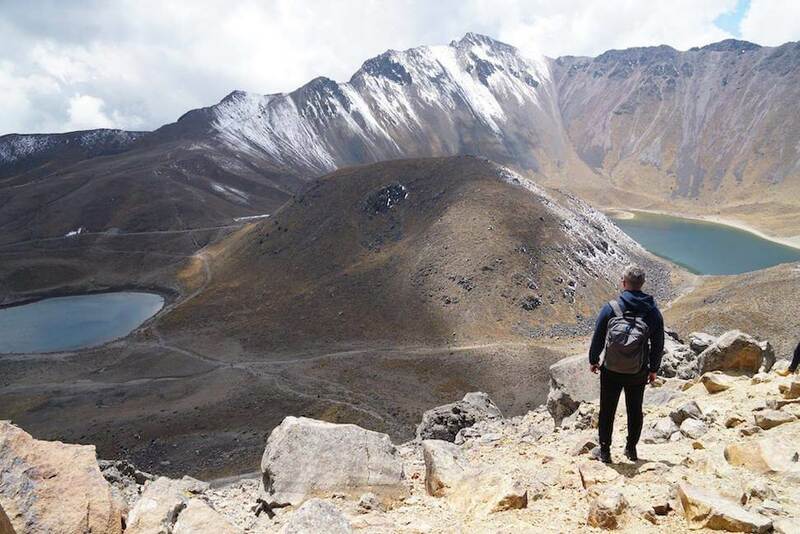 On the rim of the Nevado de Toluca volcano in Mexico, Mike takes a break with his Daily. 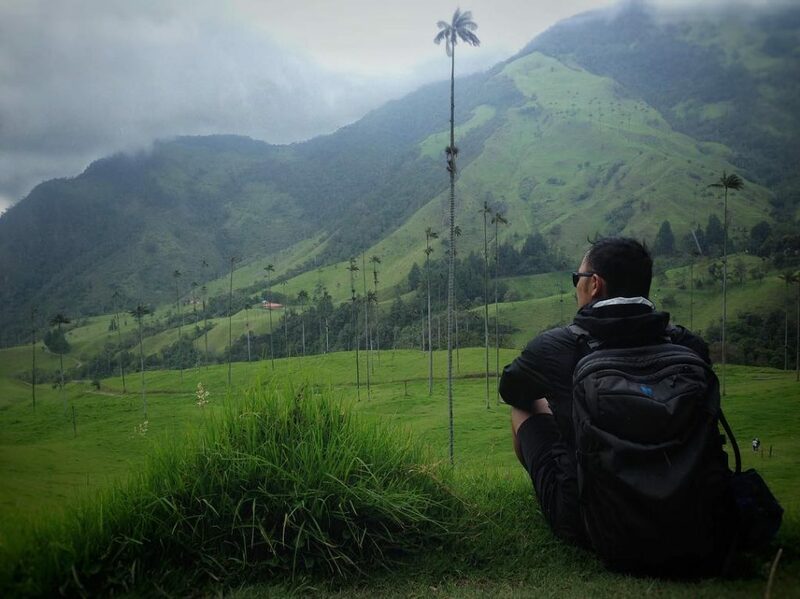 Chris hiking through the Cocora Valley in Salento, Colombia where the worlds tallest palm trees grow with his Carry-on 2.0. 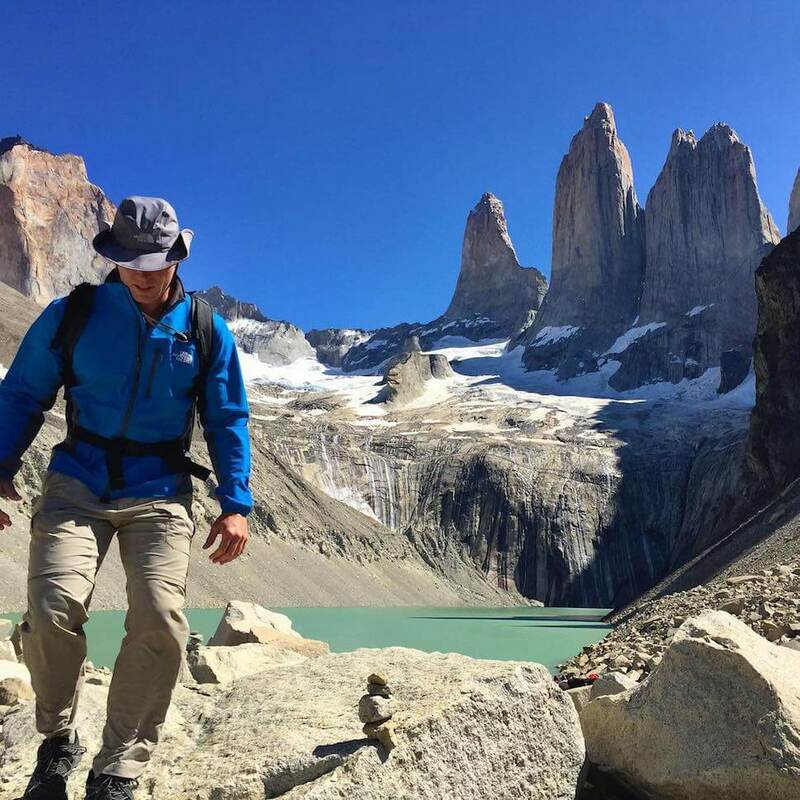 Sam hopping down from an epic view of Mount Fitz Roy in Los Glaciares National Park, Argentina with his Carry-on 2.0. 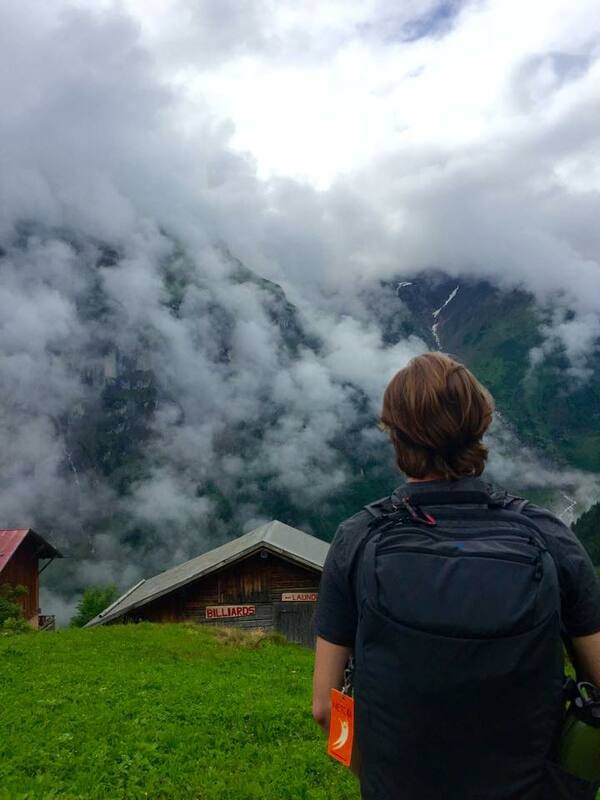 Spencer hiking up to his hostel in the clouds in Gimmelwald, Switzerland with his Carry-on 1.0. 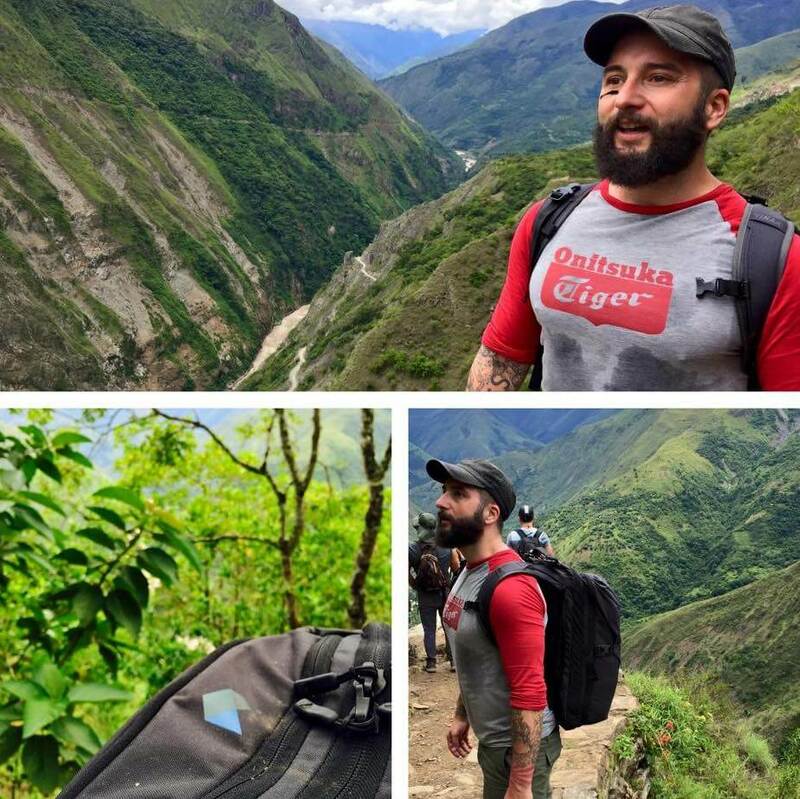 David hiking up and out of the Peruvian jungle near Cusco with his Carry-on 1.0. 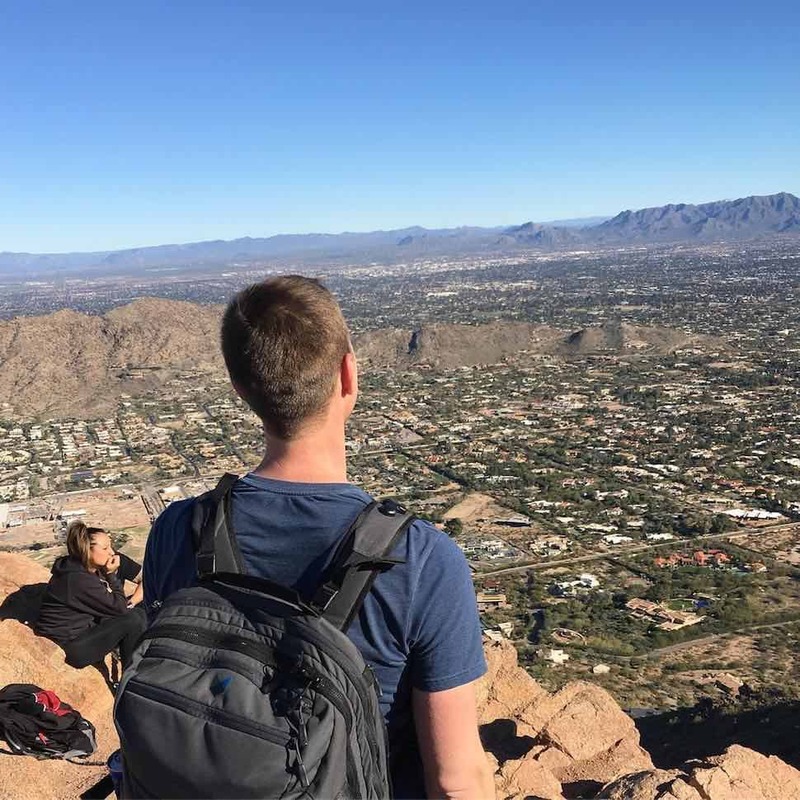 Josh surveying Phoenix Arizona from the summit of Camelback Mountain with his beta Carry-on 2.0. 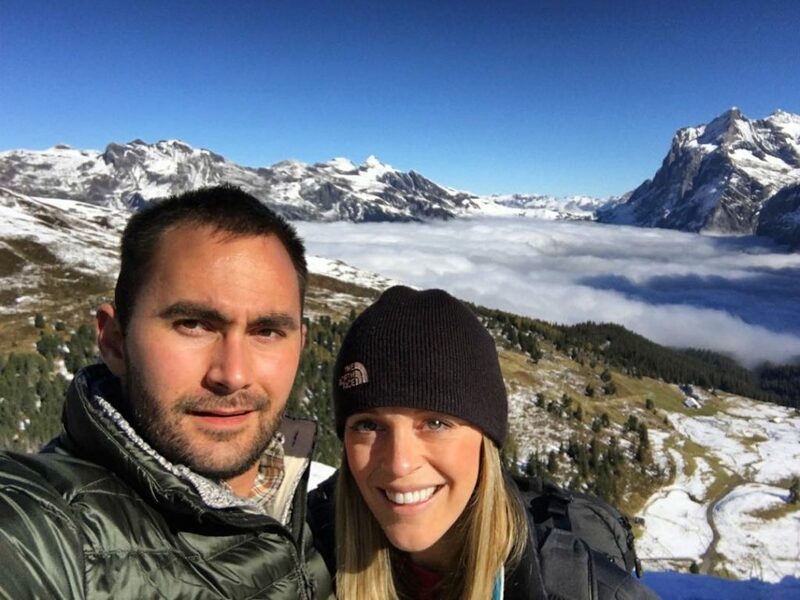 Brittany and Nick soaking in the view from Männlichen in the Swiss Alps with their Carry-on 2.0. 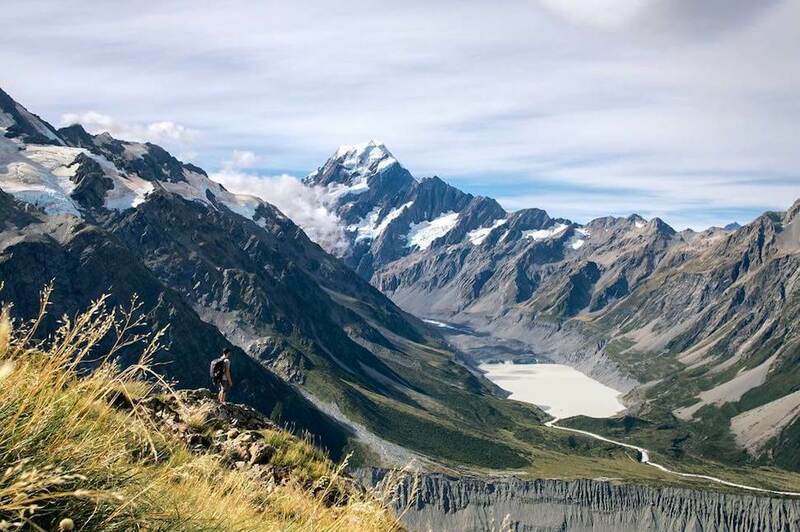 Joshua lost in the landscape of Milford Sound, New Zealand with his Carry-on 1.0. 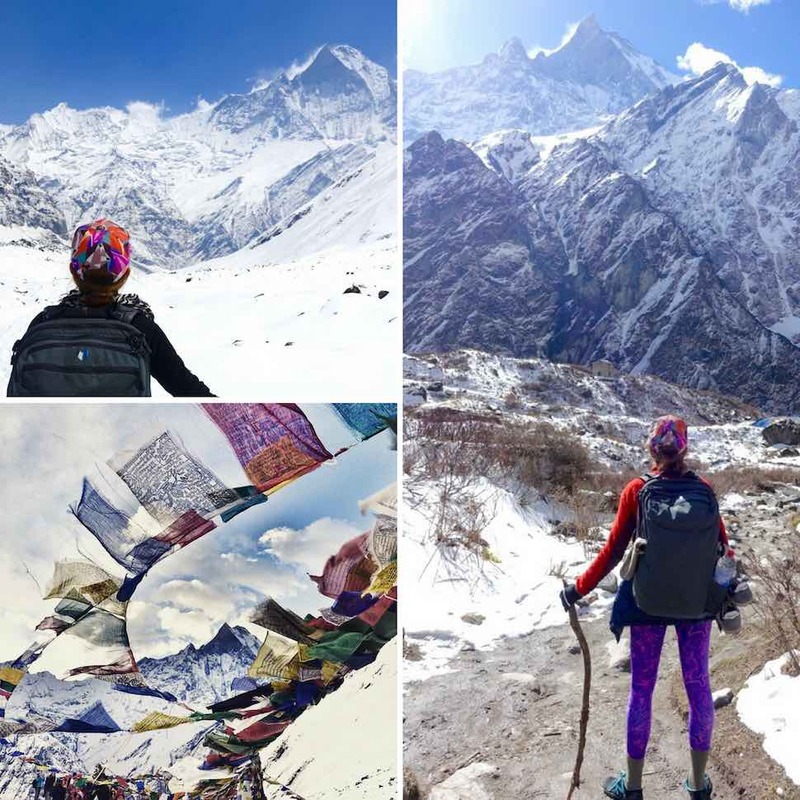 Jeanette trekking in the Himalayas with her Carry-on 1.0. Looking to get out in the mountains sometime soon? Head over here to gear up. If you’re already back and have photos to share with the Minaal crew, fill out the form below. We’ll add to this collection regularly and let you know when you’re featured!